Rich Roll is an athlete who competes in long-distance triathlons. He eats a 100% plant-based diet. Both of these changes he made shortly after turning 40. Here's some background on him, including before-and-after photos. And here's his refrigerator. Do you think he gave it a wipe-up before the photo? Q. You have maybe the most veggies I’ve ever seen in a fridge. Do you always eat them all before they go bad? Rich Roll: Well, I’m one member in a family of six. I’m married and I have 4 children, so this is a family refrigerator. And a lot of the fruits and vegetables get juiced in the Vitamix, so I go through them fast. With four kids, I definitely needed to give the fridge a good wipedown before the photo! Well, thank you for the visit! 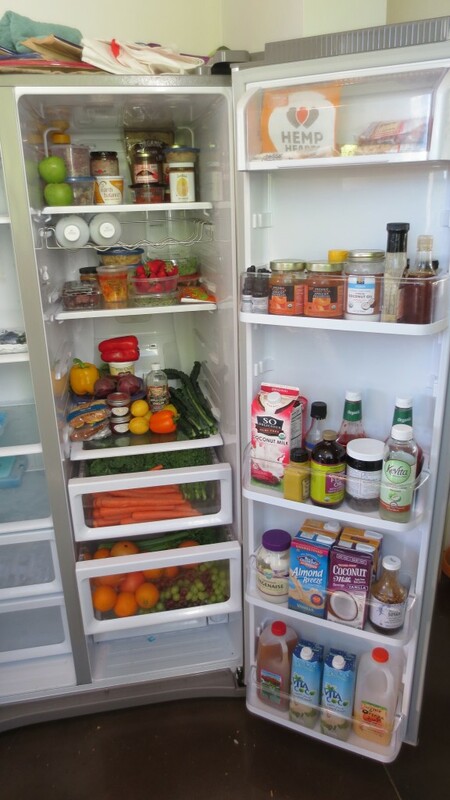 You're brave to show your fridge at all. Where is the real fridge?